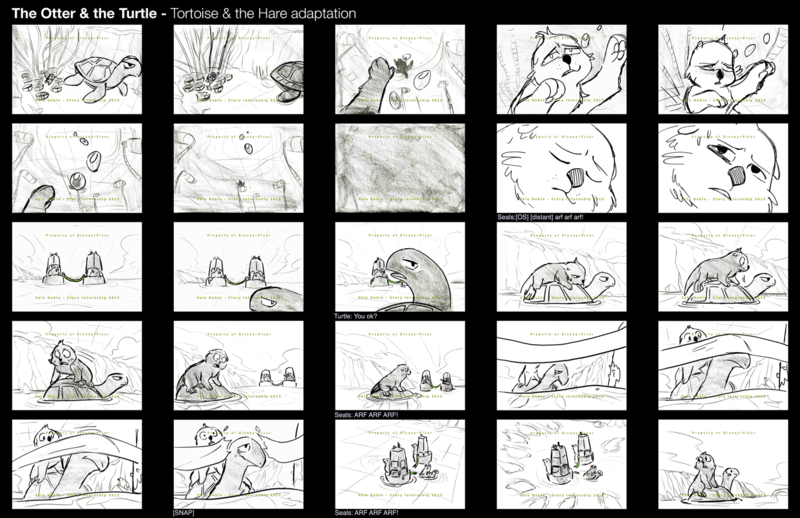 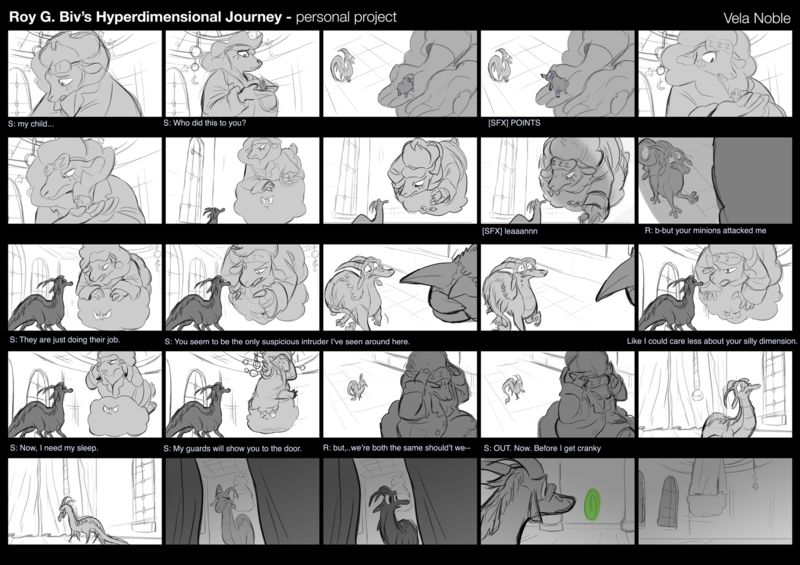 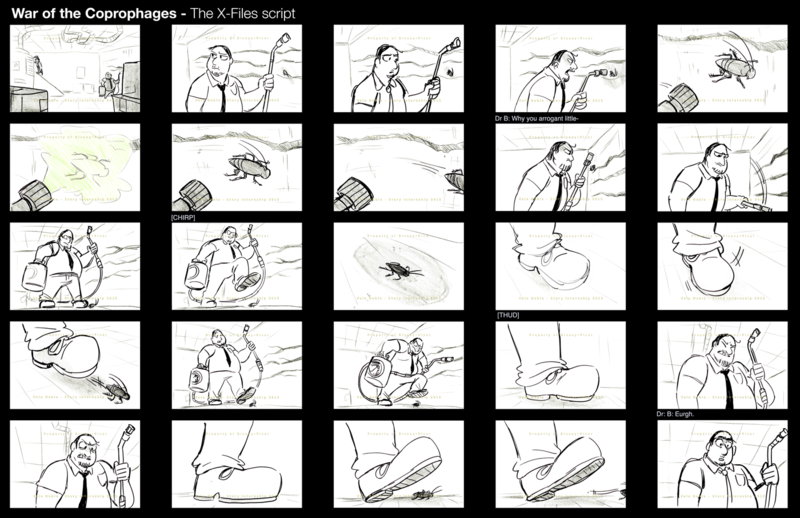 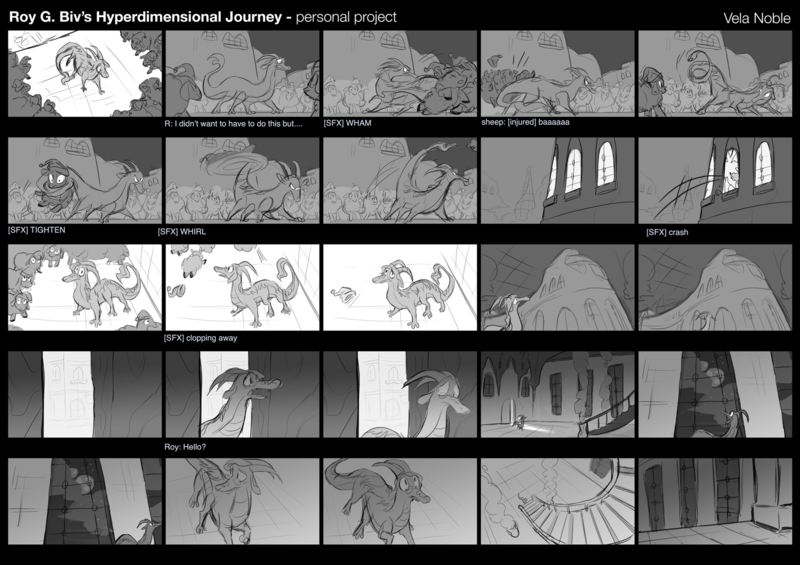 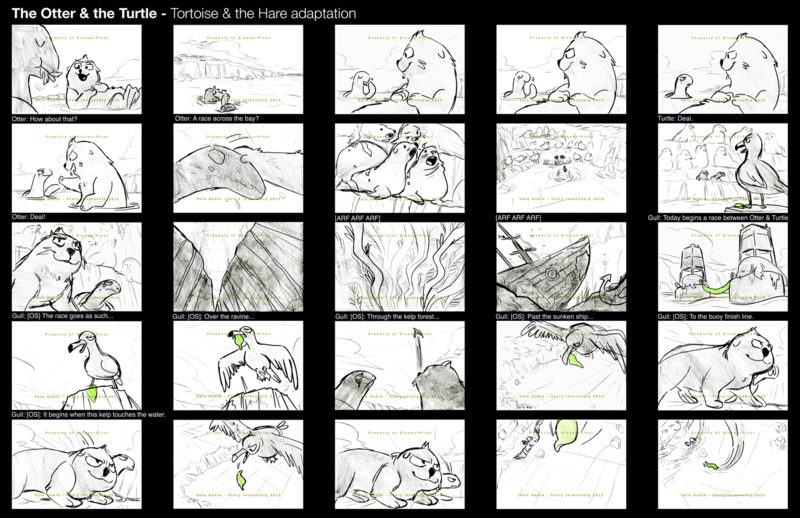 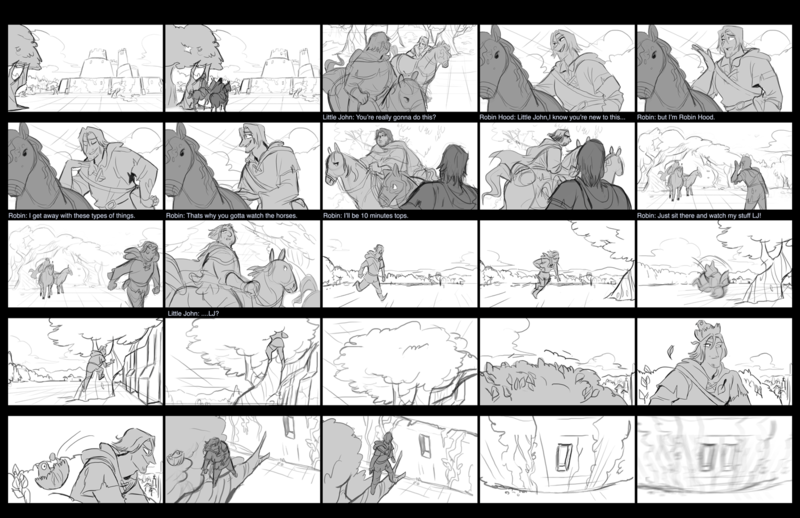 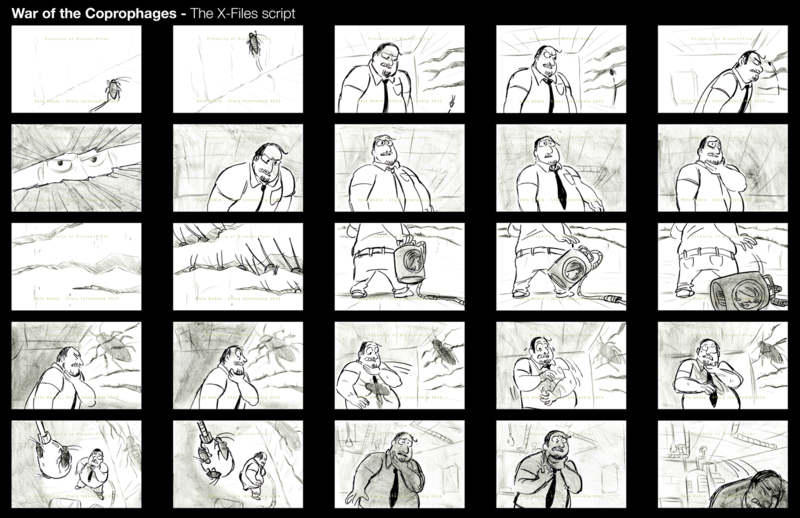 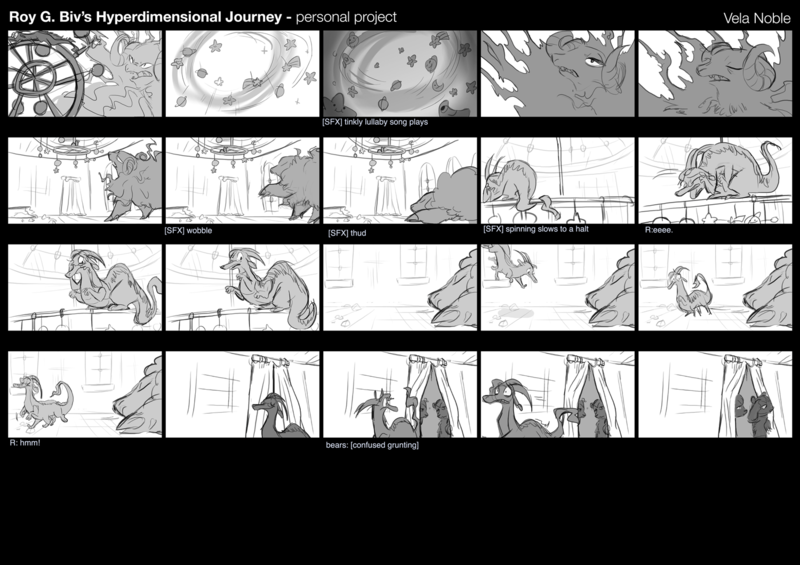 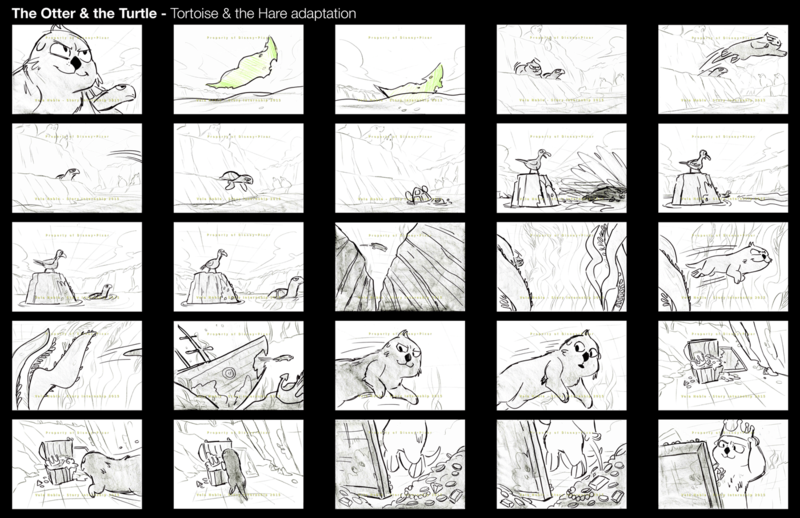 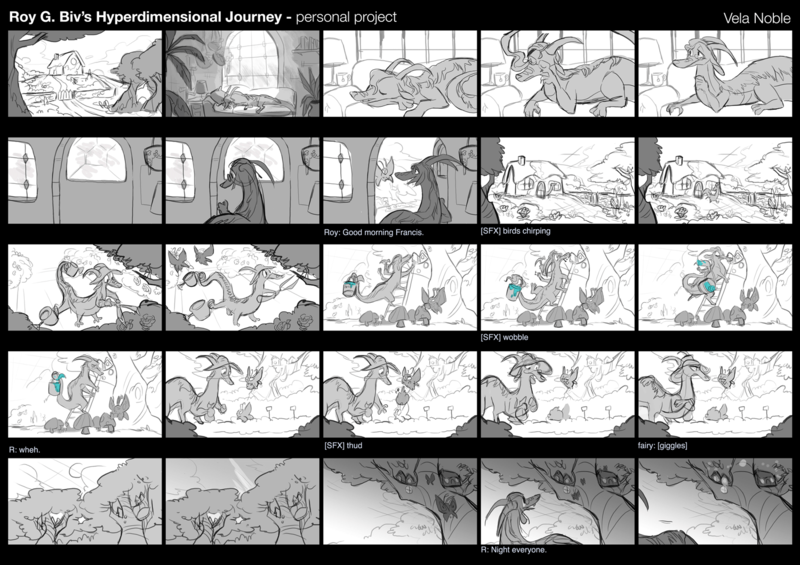 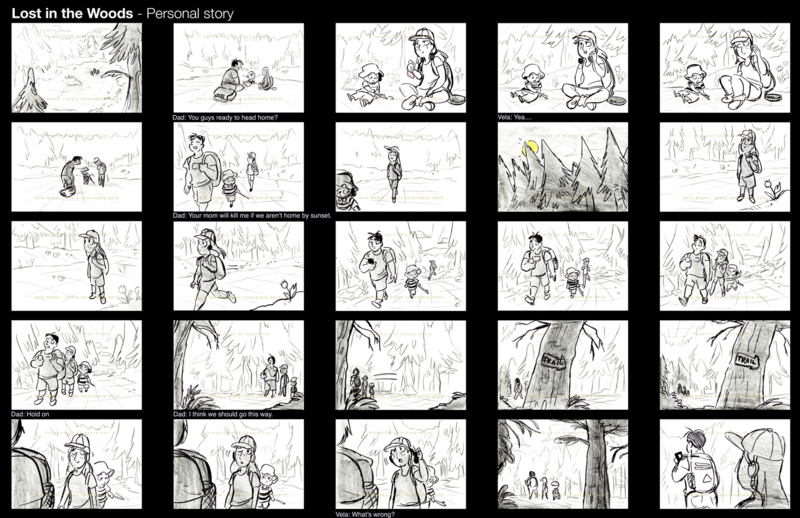 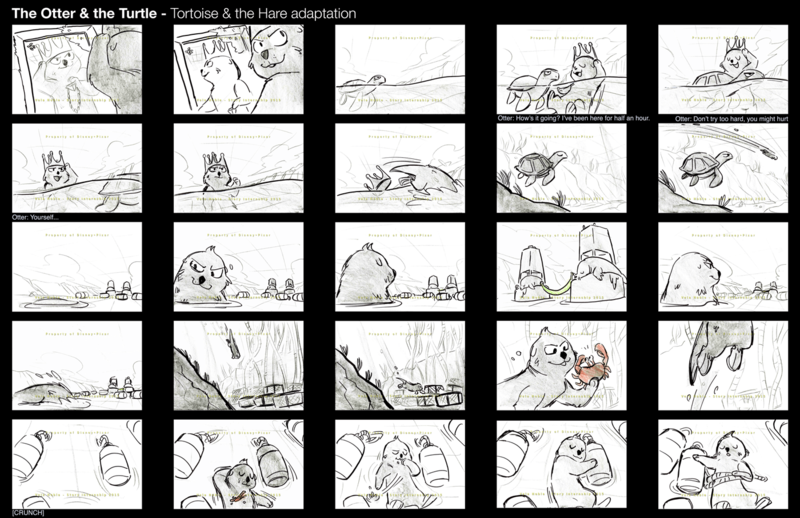 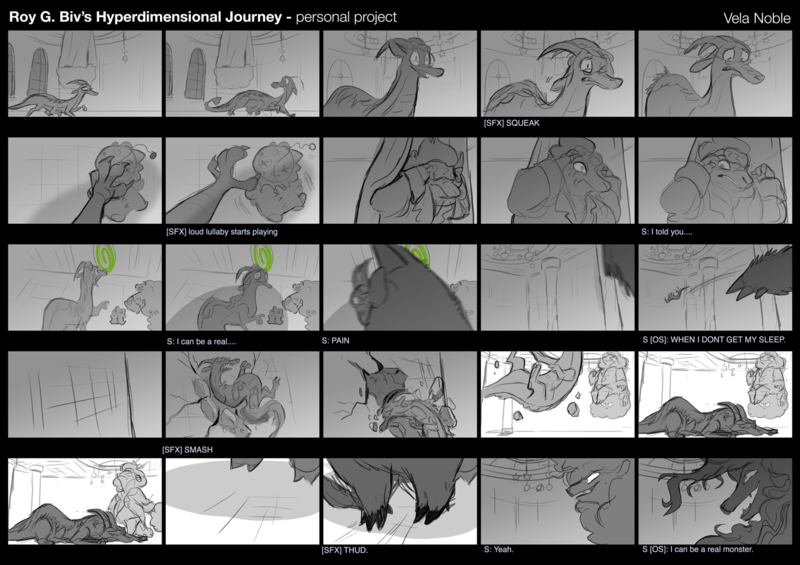 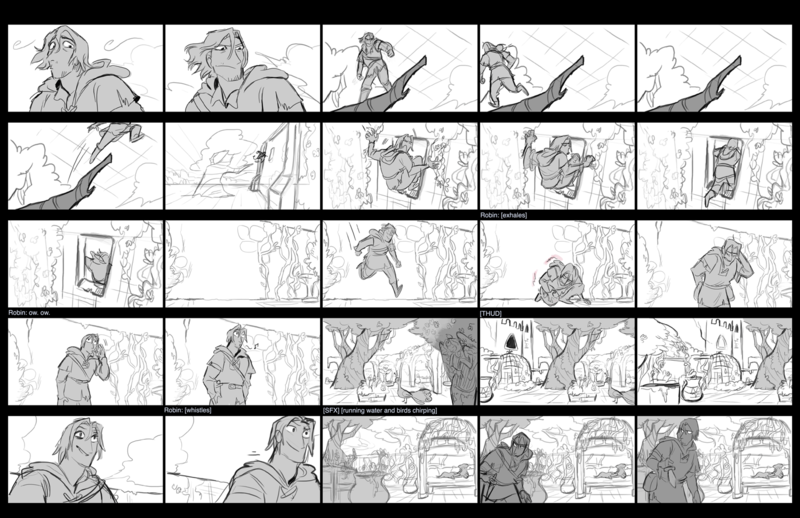 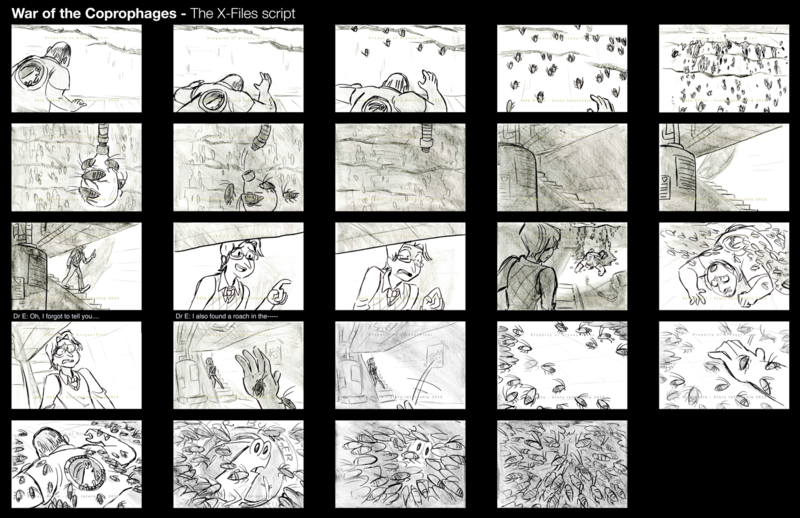 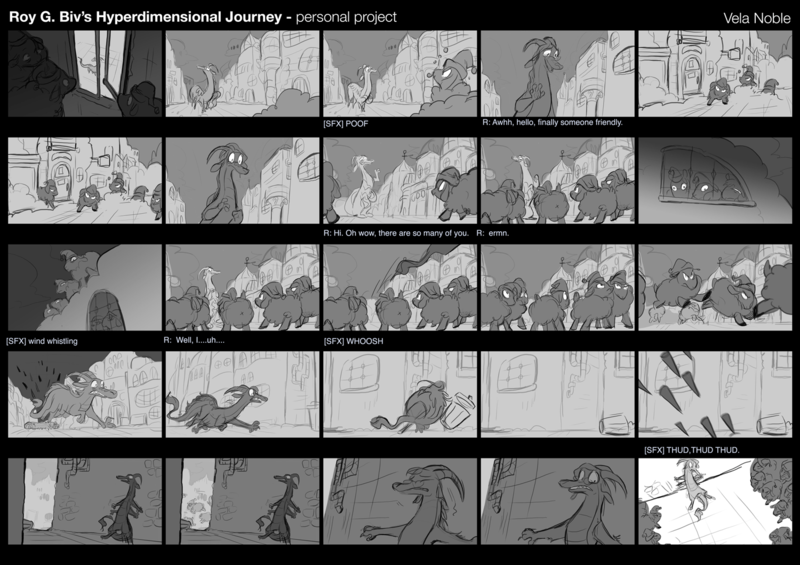 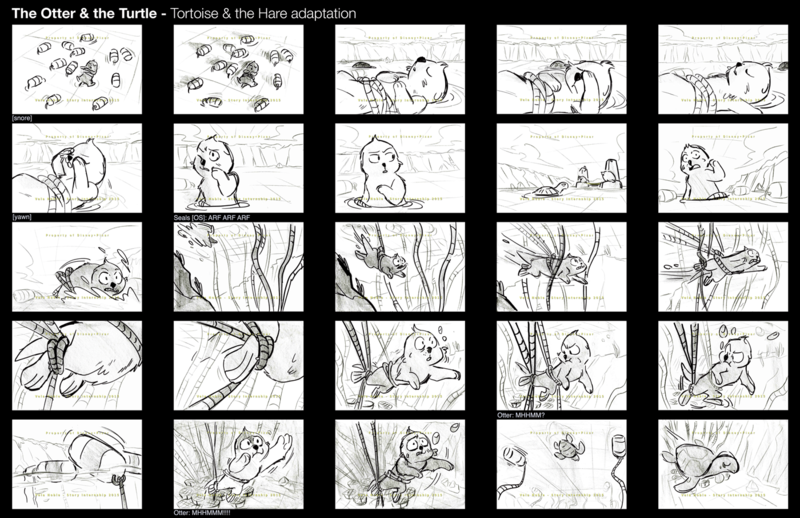 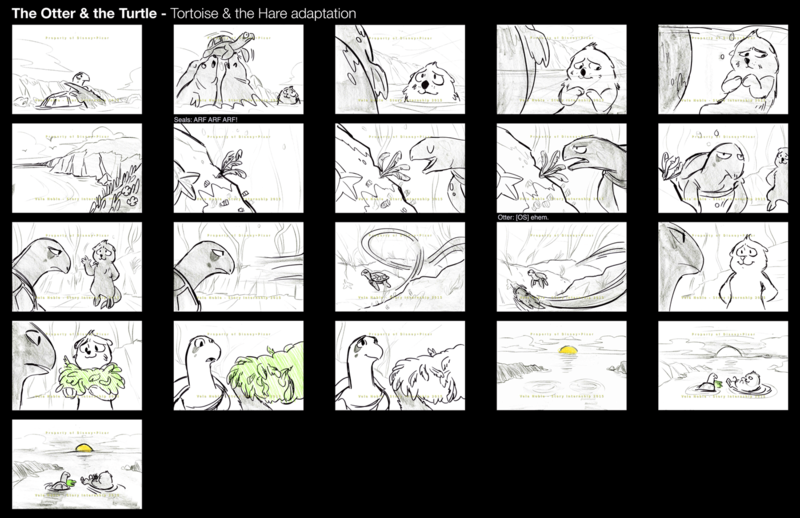 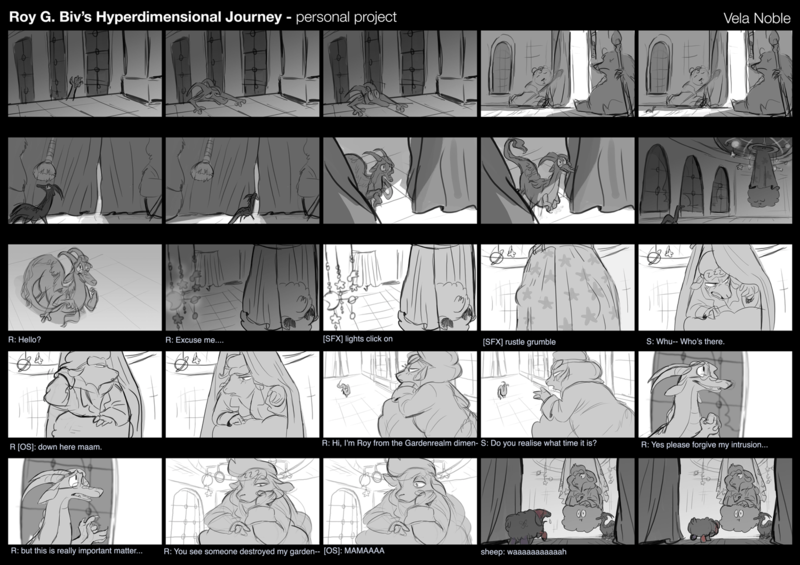 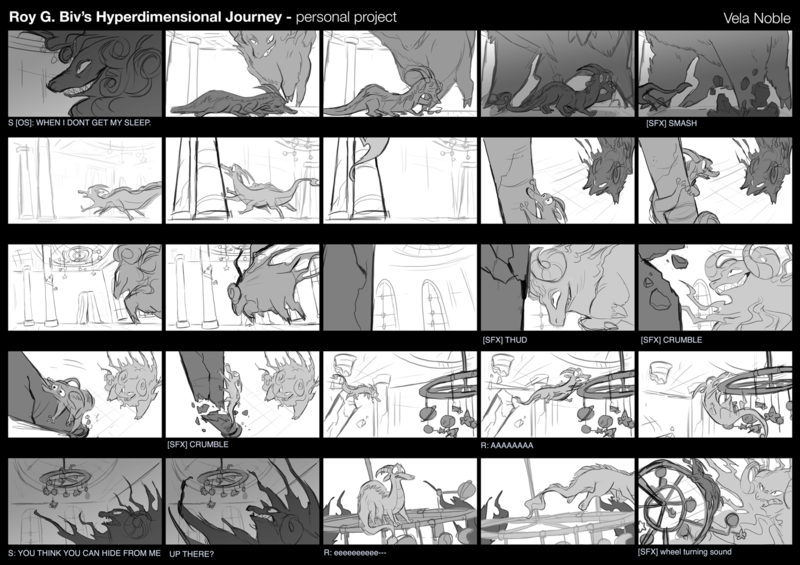 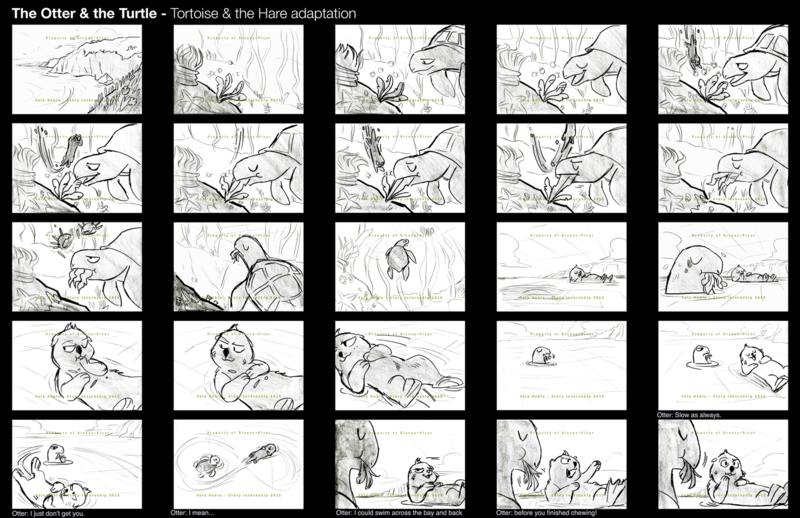 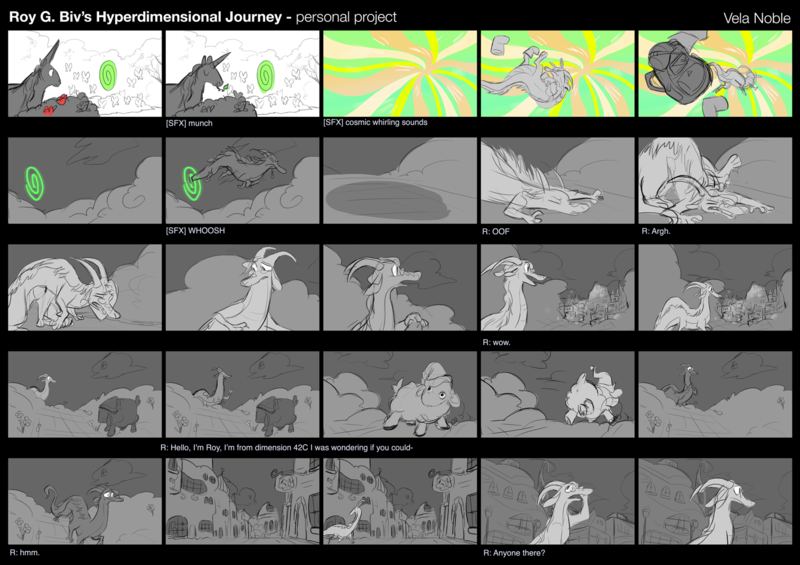 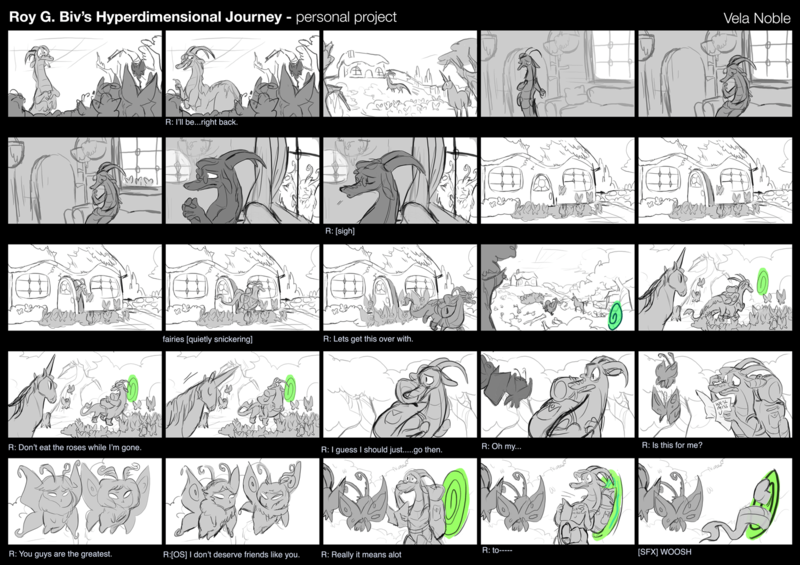 Since I’m shuffling around my ole’ storyboard portfolio, I’m taking out some of the story sequences I did during my Story Internship at Pixar in 2015. 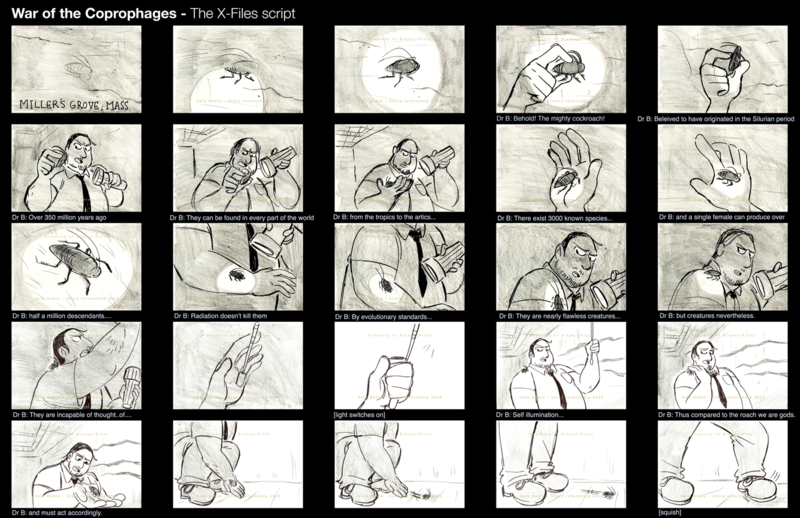 These were done with sharpies & china marker on paper, the old fashioned way. 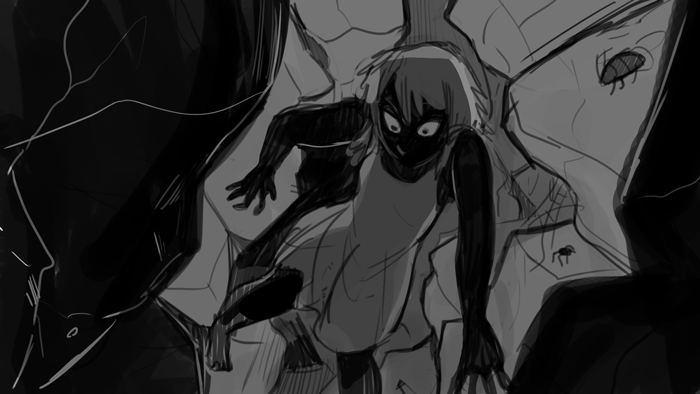 I feel like I’ve improved alot since then. 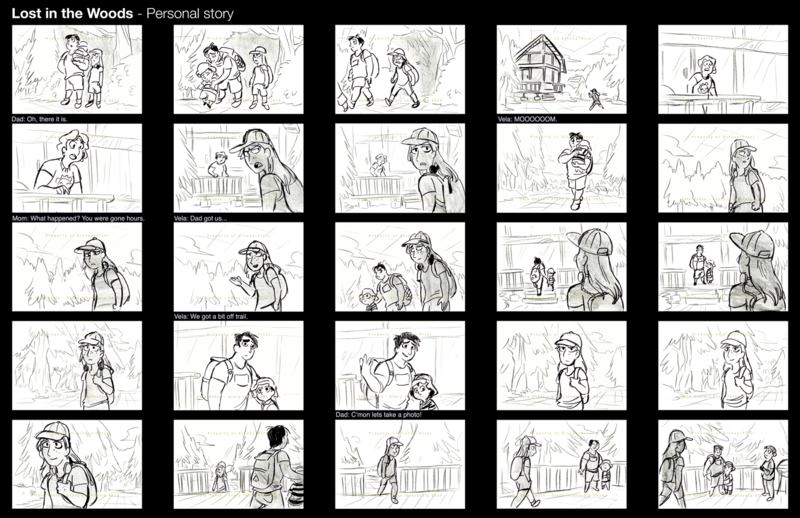 It was a crazy learning experience I really cherish . 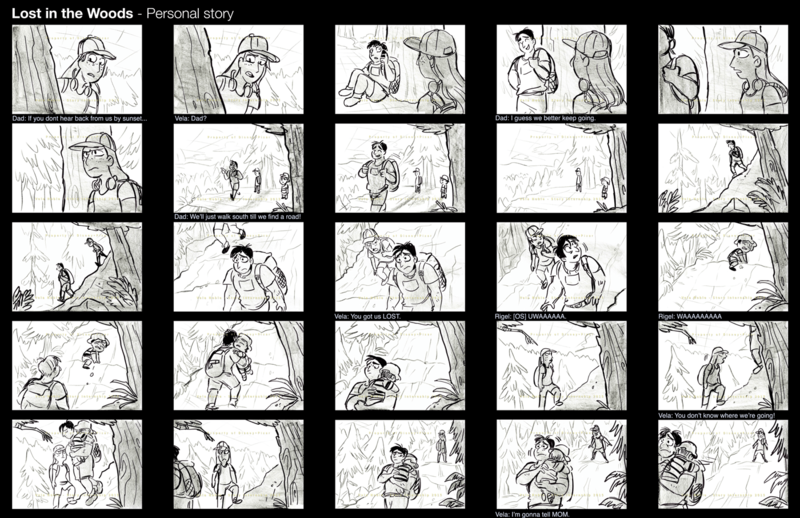 Ah, memories. 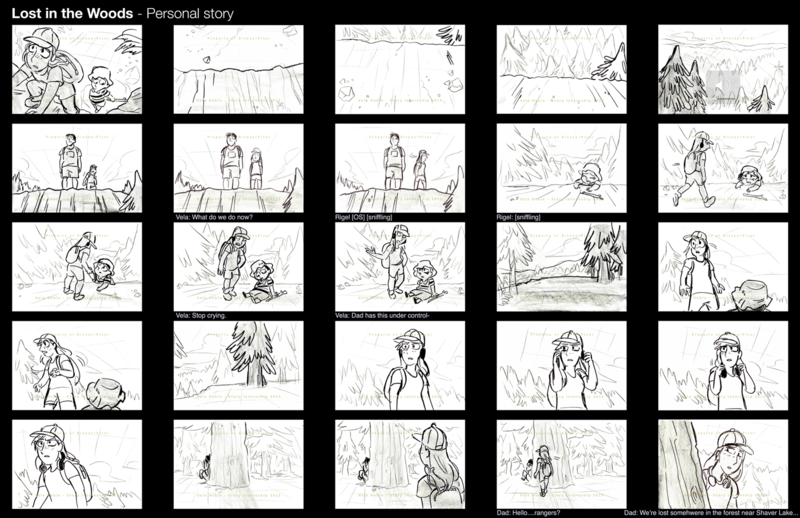 NOTE: Don’t copy my work, please. 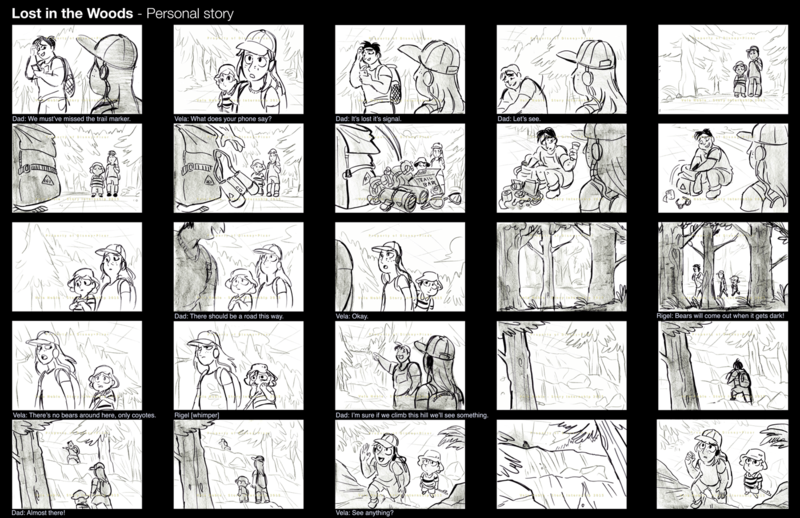 I put this online because it was a big experience for me, not for people to copy. 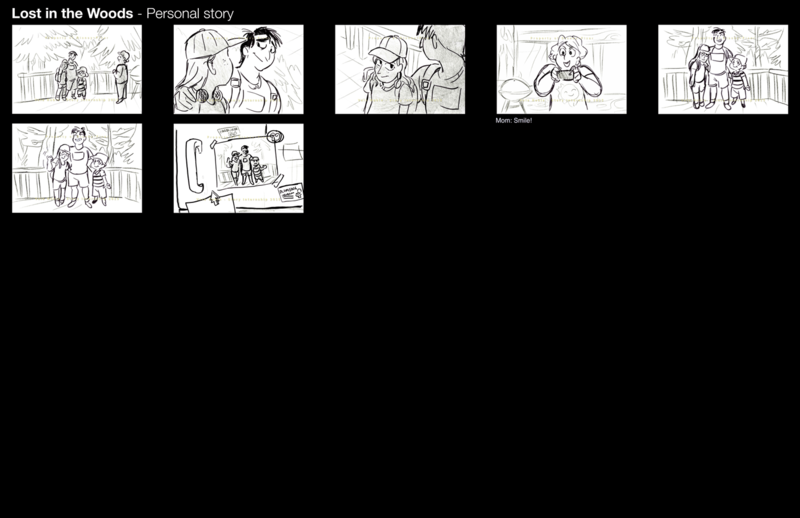 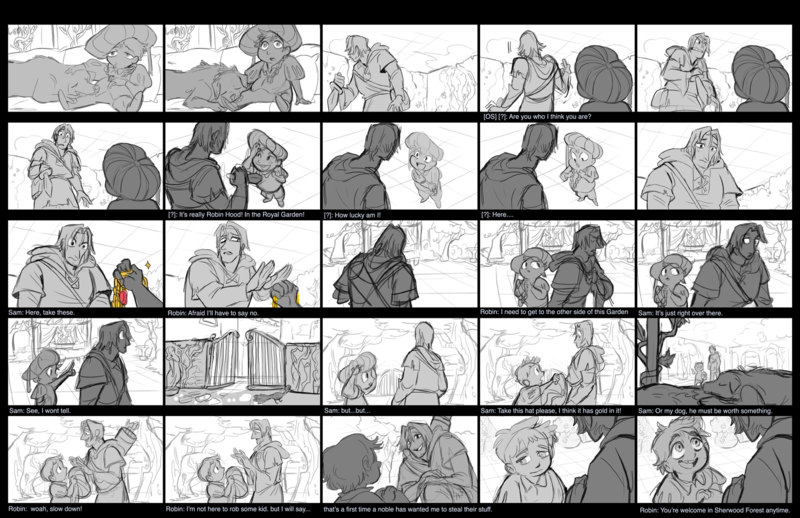 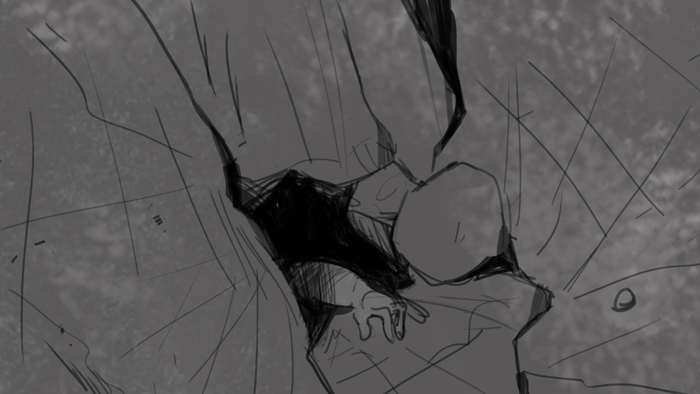 My advice for aspiring storyboard artists is to do your own boards lol. 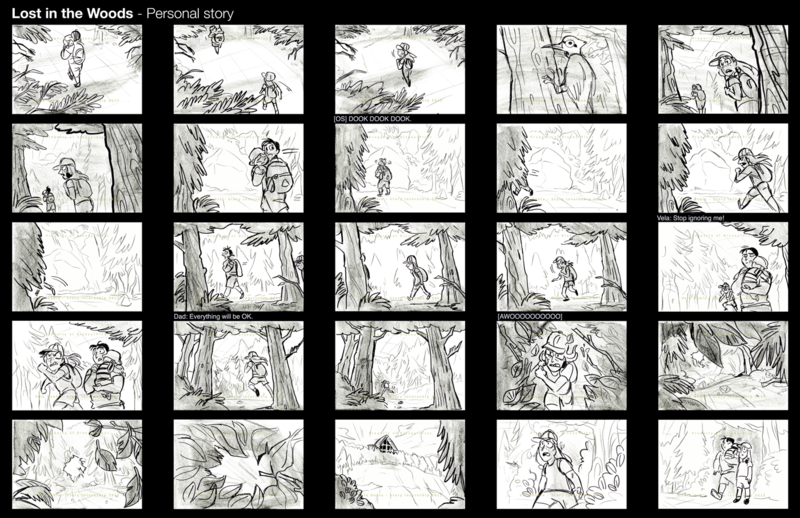 Done with sharpies on paper! 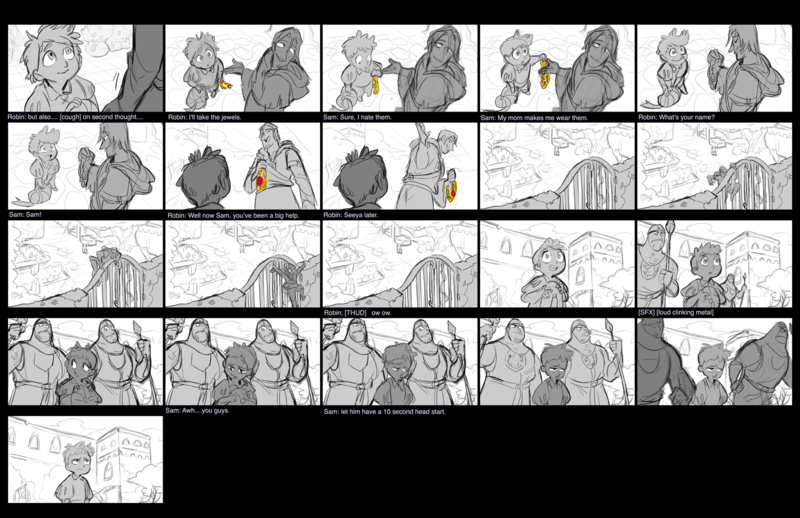 I drew a quick and silly storyboard sequence using the Robin Hood characters we’ve been designing for character design class. 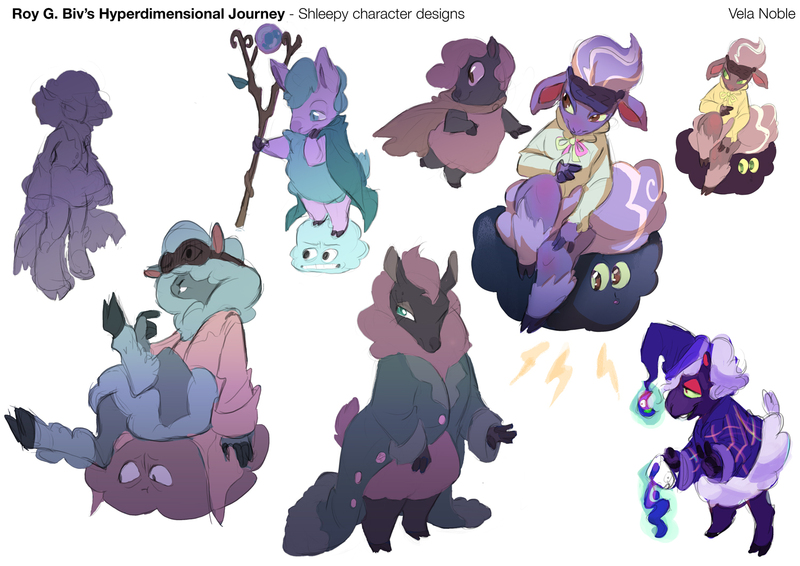 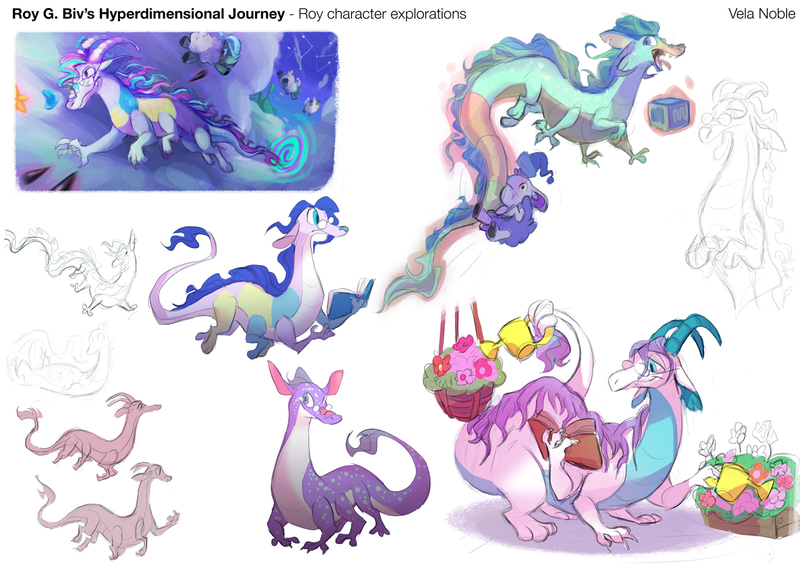 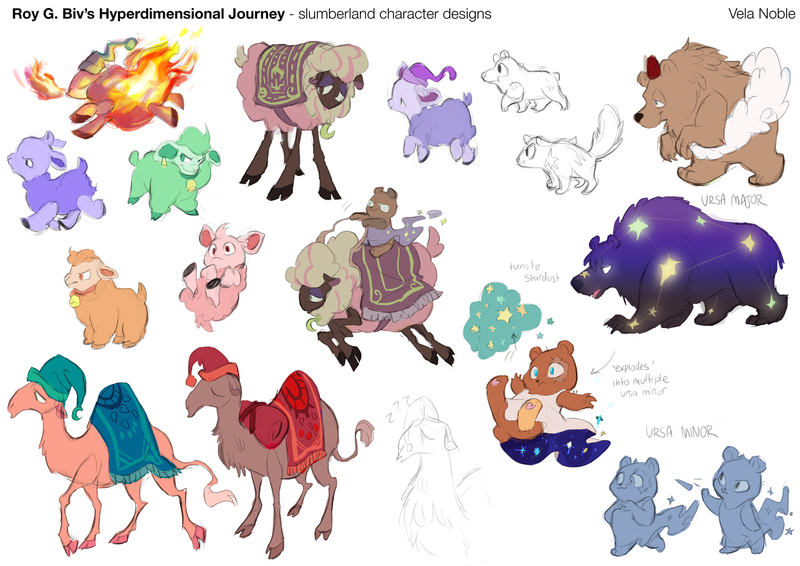 After putting some time into researching and designing characters, I really wanted to put them into a story of some sorts just for the hell of it. 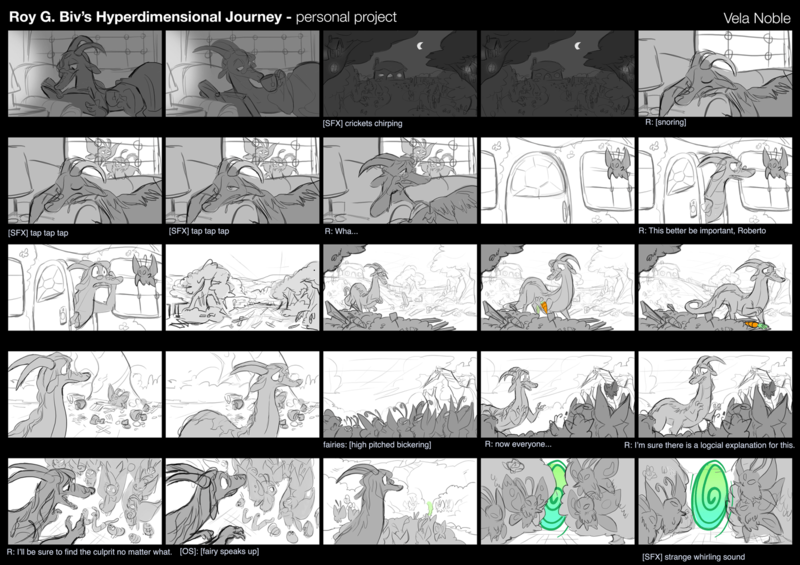 Some recent work I’ve done. 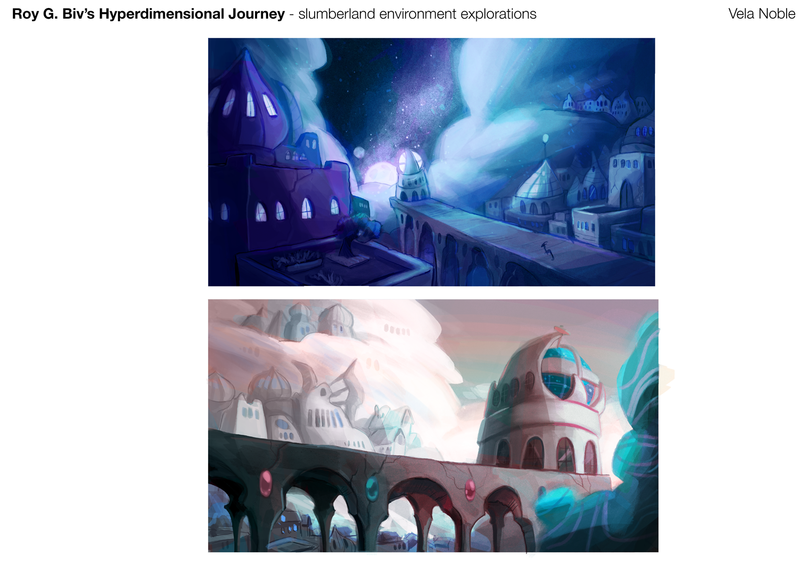 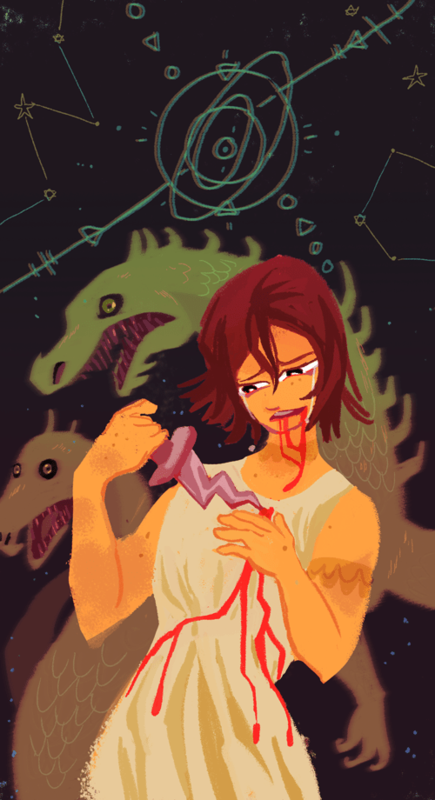 Beat-boards about claustrophobia and a lineless illustration.